Singapore, 27 May 2016 - WEGOGO (我走走) kicked off the Island Fever! to cure one of the pains affecting the growing segment of Chinese looking beyond shopping and sight-seeing when going on vacations. It aims to address the needs of the modern and evolved travellers, seeking experiences encompassing beautiful beaches, clean waters, blue skies, fresh air and natural eco-tourism offerings to heal themselves from the stress of rapid urbanization. Island Fever! promises to let the Chinese experience freedom and take a step back while engaging themselves in their favourite leisure activity – travelling. “What better way than to adopt the laid-back nature and lifestyle of idyllic but spectacular islands?” said Wong Toon King (TK), serial entrepreneur and Internet pioneer who is lead investor of the Shanghai and Singapore-based start-up. The campaign kicked off with Gili Islands in Indonesia, where WEGOGO 's vision of offering aspirational and transformational travel was brought into focus on its WeChat platform. WEGOGO showcased the lives and inspirational stories of Travel Hosts through compelling content including online videos, blogs and activities on the small island known for great diving and tortoise sightings. As a social travel platform, WEGOGO aims to address the phenomenon that the Chinese traveller will leapfrog the entire industry, not just by being the largest source market or highest spenders that they already are, but becoming the most adventurous of all travellers. This sensational change has been accelerated by the use of mobile technology and information being readily available to help them seek the most exotic adventures in the world. At the press and travel briefing, WEGOGO shared some of the aspirational experiences for Gili Islands on its technological platform, and its plans to initiate collaborations with the Singapore travel service providers to grow their travel businesses.WEGOGO plans to share with the Chinese market, the genuinely local, exotic and adventurous activities and experiences that the island-city of Singapore has to offer. WEGOGO will apply its social and aspiration driven platform to grow its Island Fever! campaign to cover Singapore and surrounding islands. This is captured in many of the authentic local exotic experiences that will be showcased and made available to the Chinese traveller. The social travel marketplace will be further boosted with WEGOGO ’s self-learning technology that will identify targeted segments of Chinese to deliver specific content that will appeal directly to them, and facilitate direct interaction between the traveller and Travel Hosts of these unique and often life-inspiring experiences. "An island like Singapore can go beyond being a tourist destination of attractions to a one that offers aspirational travel experiences," said Mak Chee Wah, CEO and Co-Founder of WEGOGO . "Our model of using WeChat allows us to reach out to the tens of millions of Chinese, and our aspirational hosts-centred experiences platform will multiply bookings and travel,” he added. 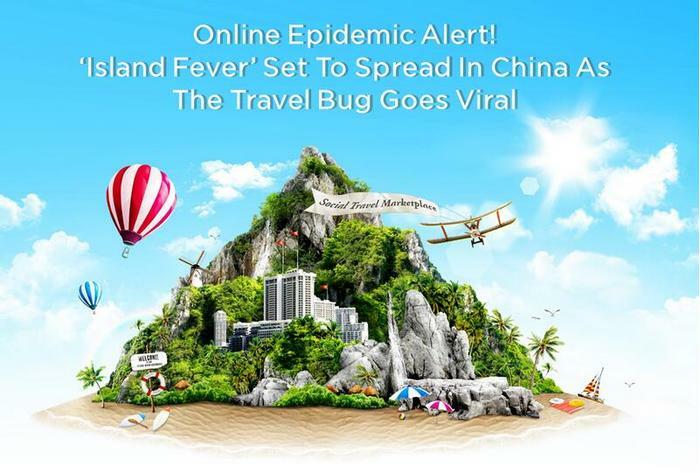 "Eventually, WEGOGO will explore the whole planet to discover more exotic and amazing islands for the Island Fever!campaign,” shared Richard Tan, Co-founder and Director of Business Development. “This will fulfill our vision of making travel transformational," added the man known internally as Chief Travel Pirate. 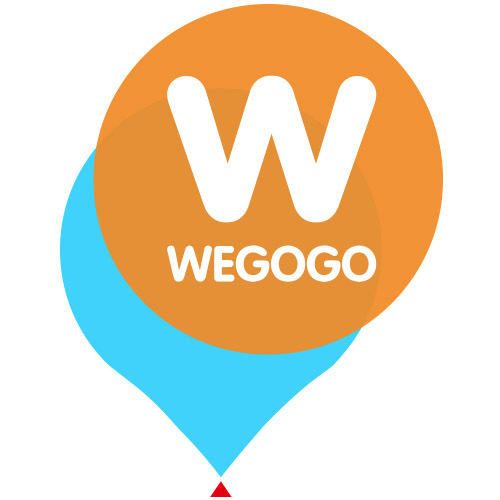 WEGOGO is a social discovery AI travel platform for sophisticated Chinese travellers to connect directly with local hosts who offer aspirational and transformational travel – immersive, perspective-changing experiences that brings one closer towards self-actualization. Local hosts usually run small travel businesses and often have limited access to technology or sales channels. With just the use of mobile phones, WEGOGO lets them level the playing field to be found by others, and facilitate journeys of self-discovery by the travelers. For the time-poor urbanite, who’s “been there, done that”,WEGOGO offers a stress-free platform to share and discover new and truly unique experiences. 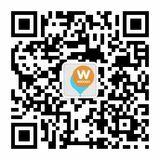 Compatible with both IOS and Android,WEGOGOwill be launched to the Singapore travel business community in May 2016. In 2012, China dislodged world travel champion Germany to become the world’s largest tourism source market with 83 million trips made by its citizens. Two years later, it surpassed 100 million, 6 years earlier than a 1995 prediction by the United Nations World Tourism Organization (UNWTO) that had set the target to be by 2020. UNWTO has since revised the 2020 target to 200 million – doubling the original prediction. With outbound travel growing at an average of 17% in the past 5 years, it will take a compounded annual growth rate of only 9% over the next five years to hit this target. Online spending was US$472 billion in 2014, expanding 42% to US$672 billion in 2015. By 2018, it will more than double to US$1.57 trillion as demographic shifts will see both the post 80s and post 90s generations dominating the market. “Singles Day” on 11 November 2015 saw US$13 billion worth of shopping transacted, beating the previous year’s record of US$9.2 billion. In comparison, Black Friday in the United States generated sales of US$6.56 billion online. More than 700 million Chinese have online access, and there are over 1 billion cellphone users. Smartphones account for 570 million users who actively access the Internet. It is no wonder that WeChat, the social messaging app boasts over 1.1 billion accounts and 639 active users in China alone. Guangzhou, Singapore, Hong Kong and Taiwan to serve as gateways into the fast growing of Asia markets.